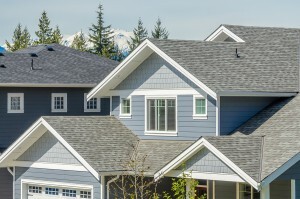 While insulation plays a very large role in home energy efficiency so does your roof system. At Green Comfort Solutions, we may be insulation experts, but we also know a thing or two about other ways to ensure your home is performing efficiently including the importance of roof ventilation. Roof ventilation not only affects your roof, but can affect your entire home’s heating and cooling systems. During cold seasons roof ventilation helps to release any heat collected in the attic. Heat that accumulates in the attic is dangerous during the winter season because it can prematurely thaw snow and ice on your roof, leading to ice dams. During warmer weather, improper roof ventilation will trap heat in the attic and have a significant impact on your cooling systems, making your home less energy efficient. Proper roof ventilation is crucial in releasing unwanted stored heat in the attic to protect your roof and your climate control systems. Another danger of poor roof ventilation is moisture buildup. Without an adequate way to escape, trapped moisture can have significantly damaging effects to the substructure of your roof. Overtime moisture could cause mold and mildew could develop, nails to rust and even break and your roof deck to rot. Adequate ventilation will provide an escape route for heat and moisture and prevent these costly calamities. Soffit Vents & Ridge Vents: These two ventilation systems work in tandem. Proper ventilation systems provide a point of entry and point of exit. Soffit vents are found underneath a roof’s overhang. Alternatively, ridge vents run along the peak of a roof, providing an escape route for hot air and any moisture in the attic. Both of these ventilation systems work together and allow your home and building to breathe. Attic Fans: To really help with ventilation, attic fans or whole house fans may be installed to draw out warm attic air through roof vents and out of your home. Gable Vents: These vents can be found on either end of your home under the peak of your roof and on the siding. They help air flow out of the attic, while preventing snow and moisture to enter. For more information about how roof ventilation or to schedule a home energy audit, don’t hesitate to call us at Green Comfort Solutions. 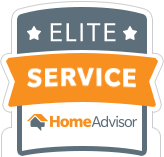 We’re more than happy to help you establish a more energy efficient home, whether that’s through insulation or roof adjustments. Call or click here for a quote!